MONKEYS ARE MY FRIEND: Official Socks! Okay, in no way is this an actual surprise to anyone that has had even marginal contact with me or my blog. But still, it's exciting! More socks! The colorway of the yarn is called Like, Totally Rad. That amuses me more than it probably should. 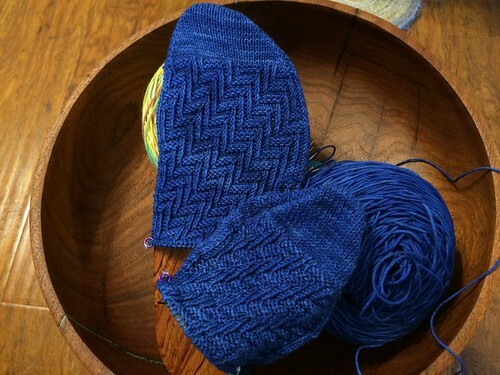 Less amusing was the difference in the beginning and end of the skein. One end had lots of pink and on the other, that pink was significantly less intense. I'm sure you can tell which sock came from which end. But oh well, whatcha gonna do? I'm still going to wear the heck out of them. 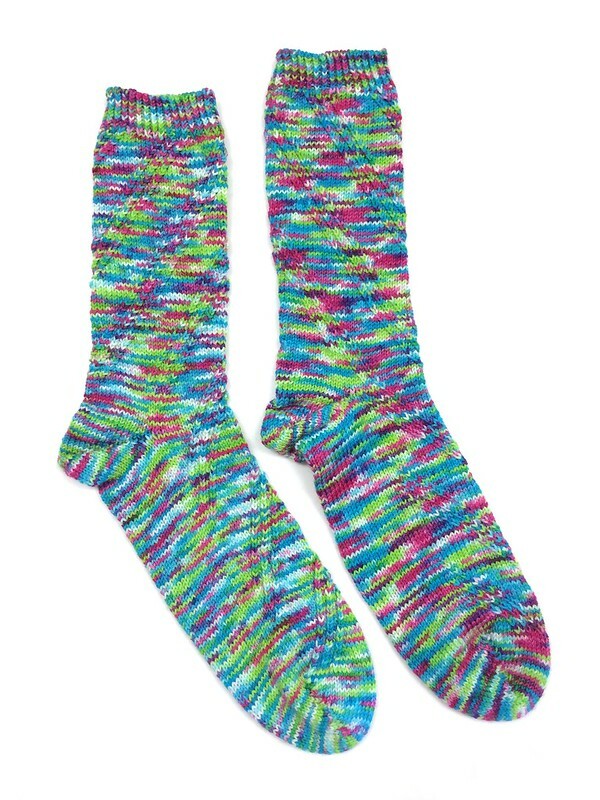 Once these were done, naturally I cast on for more socks. But this time I'm actually knitting for someone not me. That's right - it's time for Dan to get more socks! I might even try to finish them in time to call them a birthday present.